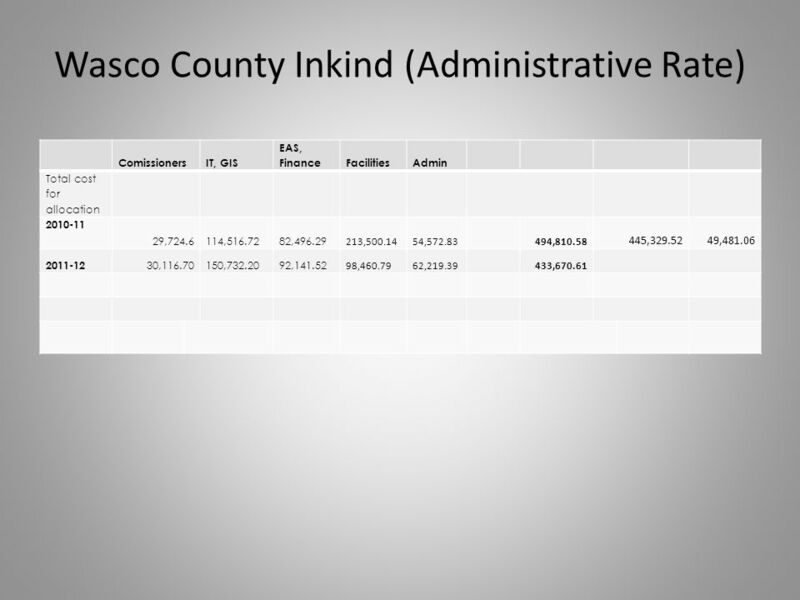 NCPHD Presentation of Public Health District Structure January 25, 2012 North Central Public Health District. 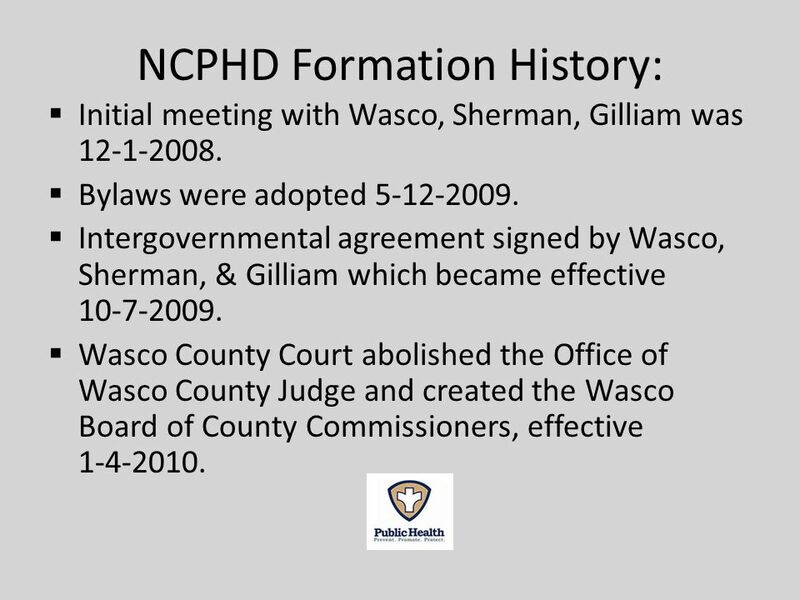 2 NCPHD Formation History: Initial meeting with Wasco, Sherman, Gilliam was 12-1-2008. Bylaws were adopted 5-12-2009. 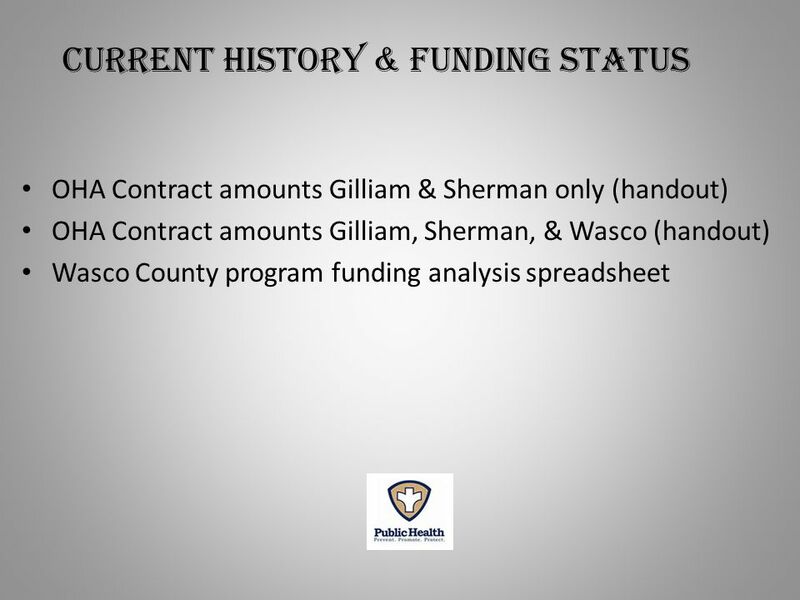 Intergovernmental agreement signed by Wasco, Sherman, & Gilliam which became effective 10-7-2009. 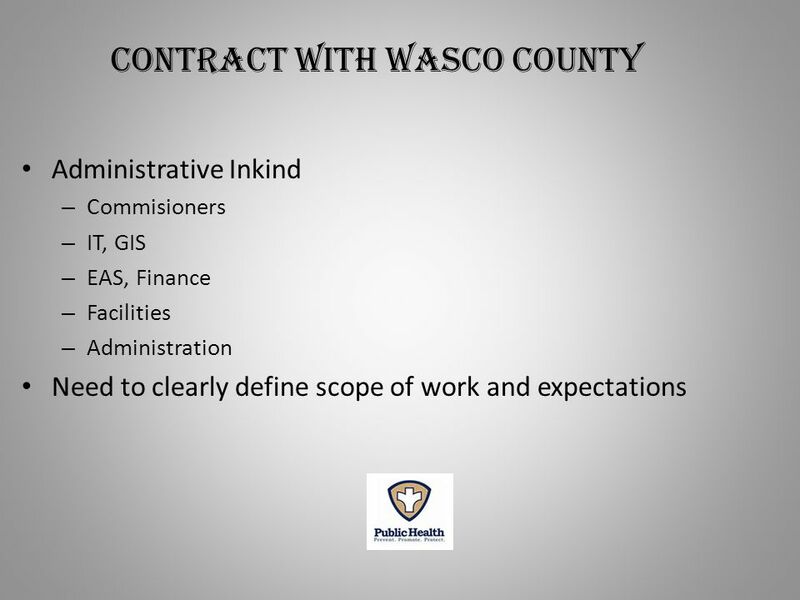 Wasco County Court abolished the Office of Wasco County Judge and created the Wasco Board of County Commissioners, effective 1-4-2010. 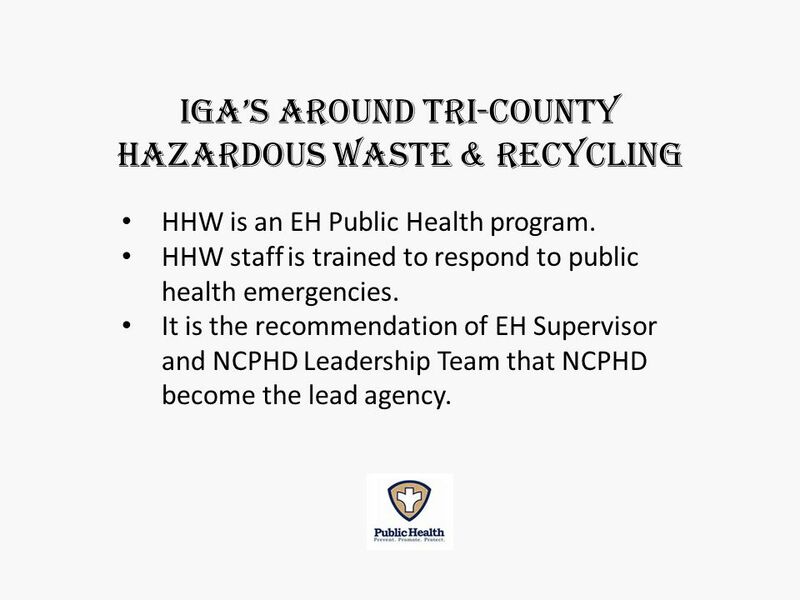 9 Igas around tri-county hazardous waste & recycling HHW is an EH Public Health program. 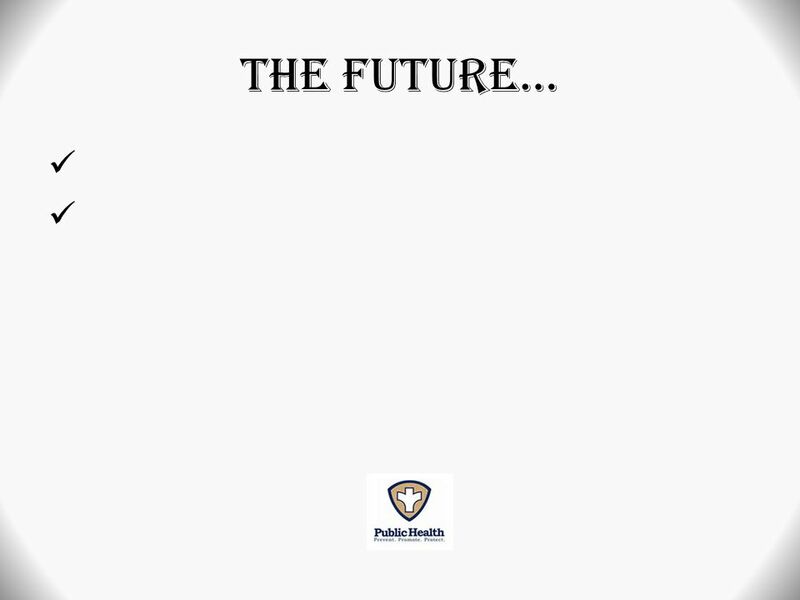 HHW staff is trained to respond to public health emergencies. It is the recommendation of EH Supervisor and NCPHD Leadership Team that NCPHD become the lead agency. 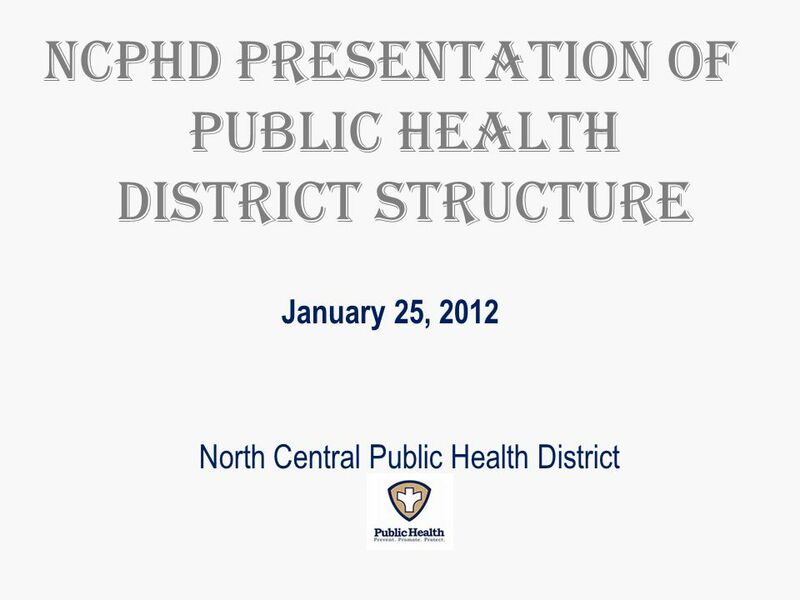 Download ppt "NCPHD Presentation of Public Health District Structure January 25, 2012 North Central Public Health District." 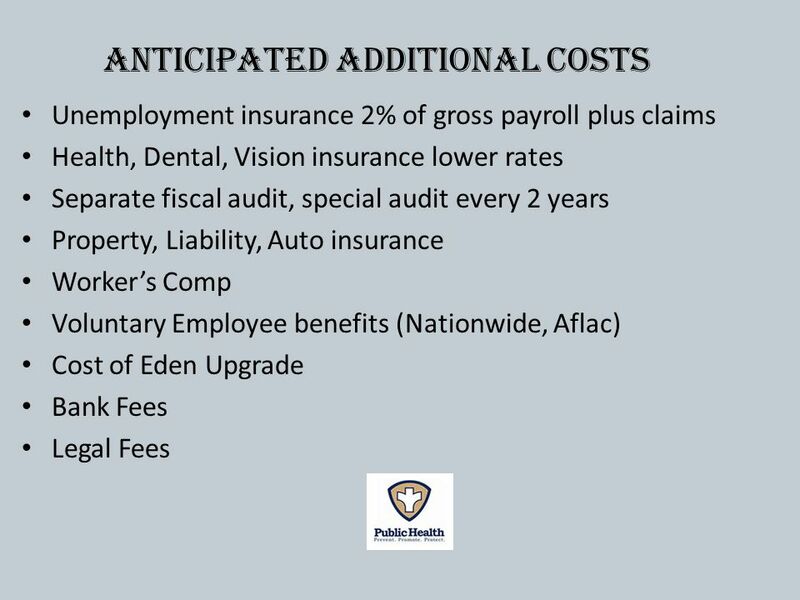 Superintendents Recommended Budget: FY Rockingham County Public Schools March 23, 2010. 1 Legislative Update Office of Assemblymember Sandré R. Swanson June 10, 2009. 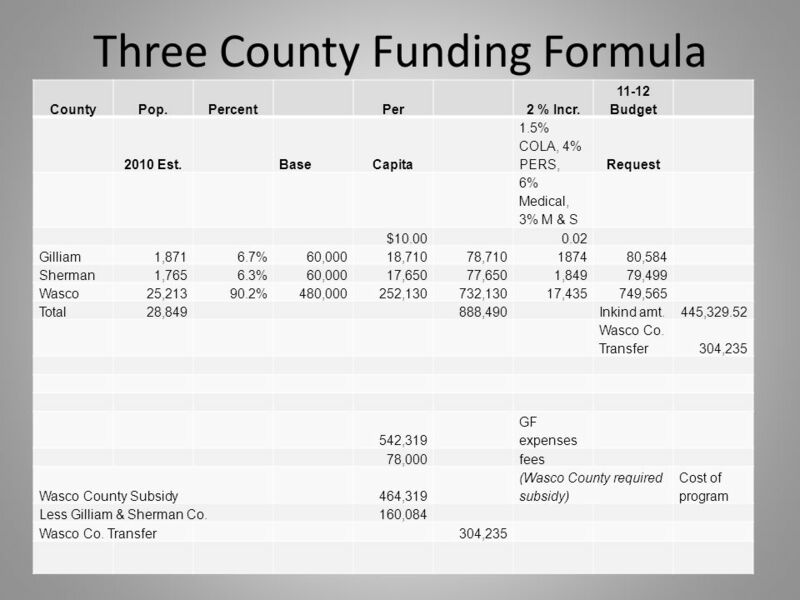 2011 Community Development Block Grant CDBG Overview And 2011 Project Recommendations. Woodbridge High School Woodbridge School District Design Development for Woodbridge High School 22 May 2012. 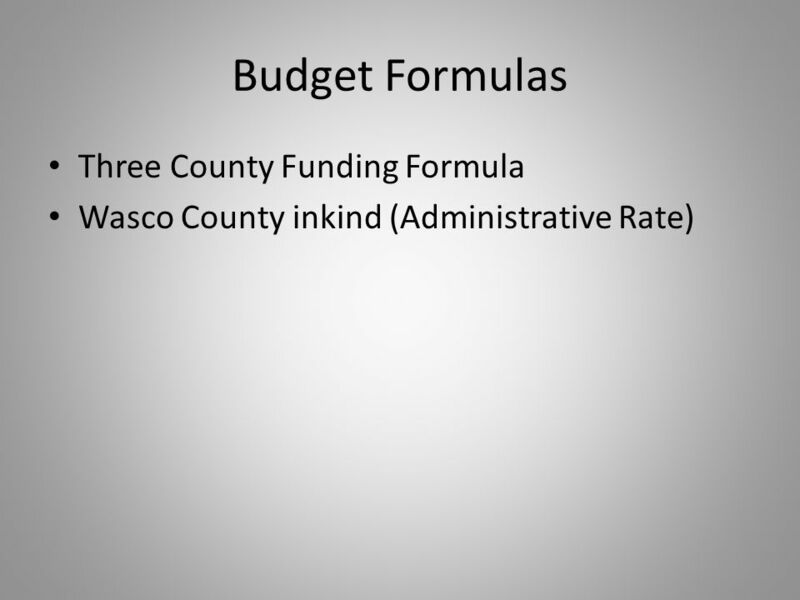 Submitted October 25, Structural Spending Deficit. 1 MICHIGAN MUNICIPAL SERVICES AUTHORITY COLLABORATE INNOVATE SERVE Michigan Local Government Benchmarking Consortium Conference: Benchmarking for Success.